OVER THE RAINBOW. 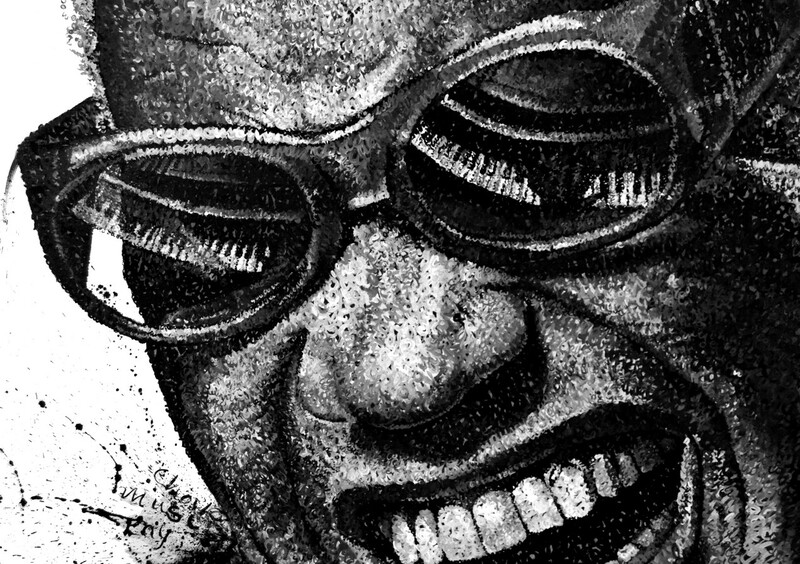 Ray Charles, acrylic on canvas. Black & White. 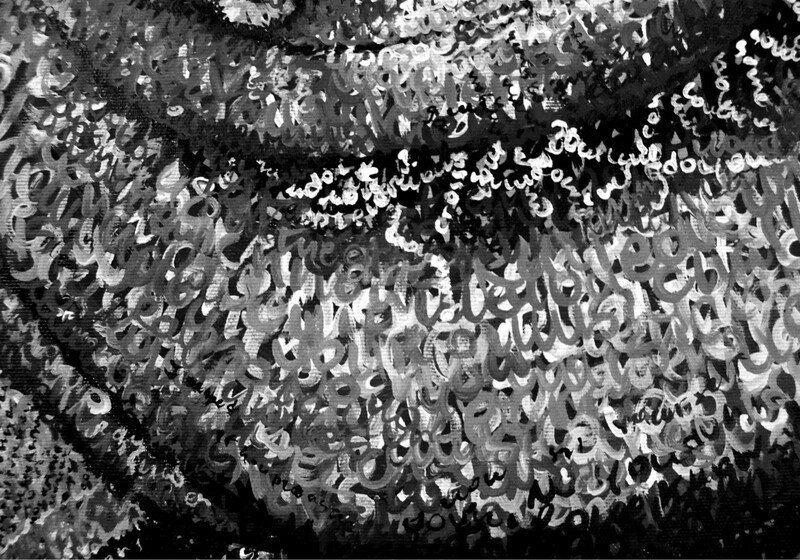 Painted by lyrics of the Album “Genius Loves Company”. OVER THE RAINBOW. 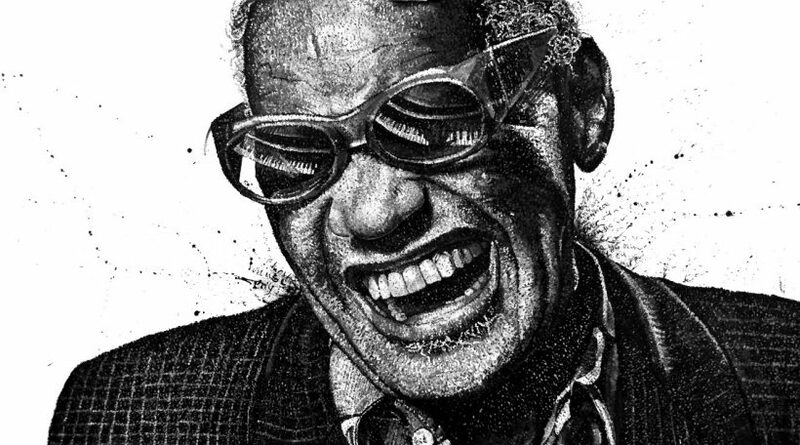 Ray Charles, acrilico su tela. Bianco e nero. 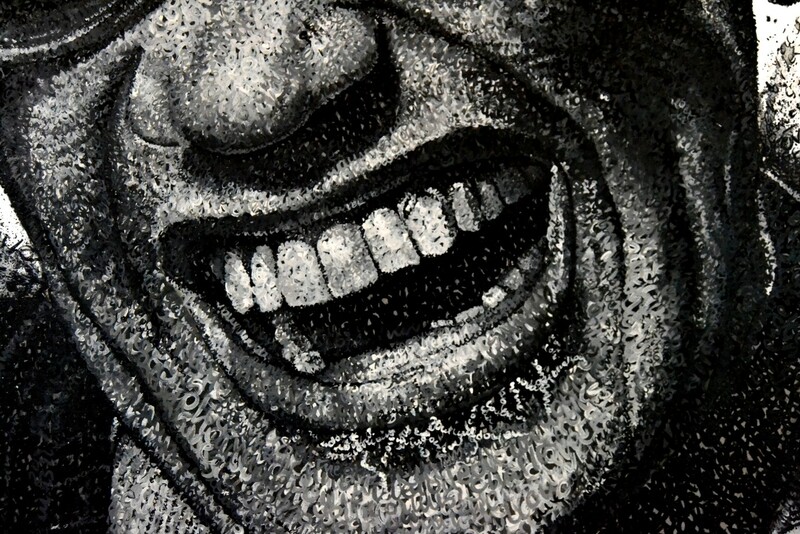 Dipinto con i testi delle canzoni dell’Album “Genius loves Company”.